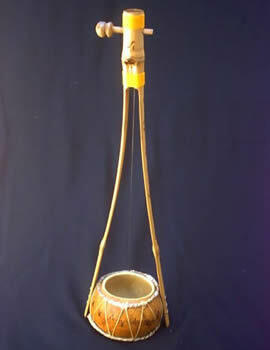 This familiar Ektar instrument (a single string), is a very popular Hindu folk instrument of Bengal. 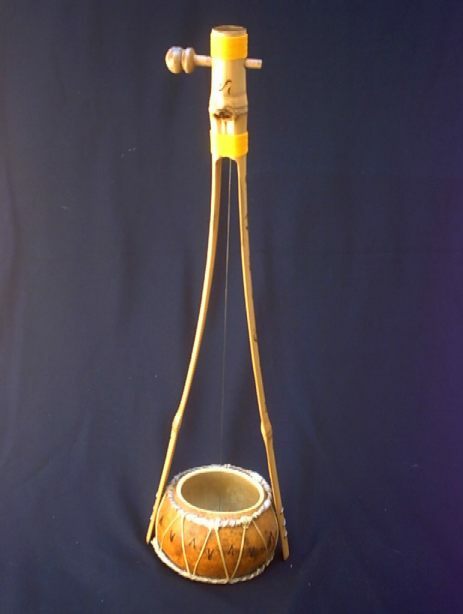 It consists of a section of bamboo that opens and is attached to a resonator that can be coconut, squash or a metal container where the base has a leather, like a drum, but from the middle of this patch comes a rope that is Stretched at the other end by a peg on top of the bamboo. The sound of Gopichand is very distinctive. There is a peculiar bending of the bamboo between its two arms where they are tightened together by the left hand while the right hand touches the rope. This familiar instrument of the Ektar or Ektara is also known as Gopiyantra or Khamak, is a very popular Hindu folk instrument of Bengal. 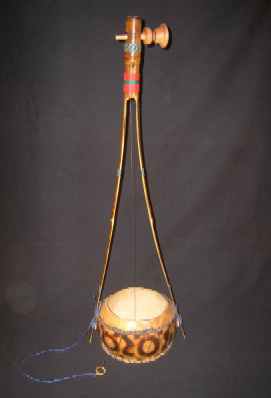 It is an instrument that is widely used for Baul dance and is said to be the oldest and most primitive string instrument in India. There are many variations on construction. 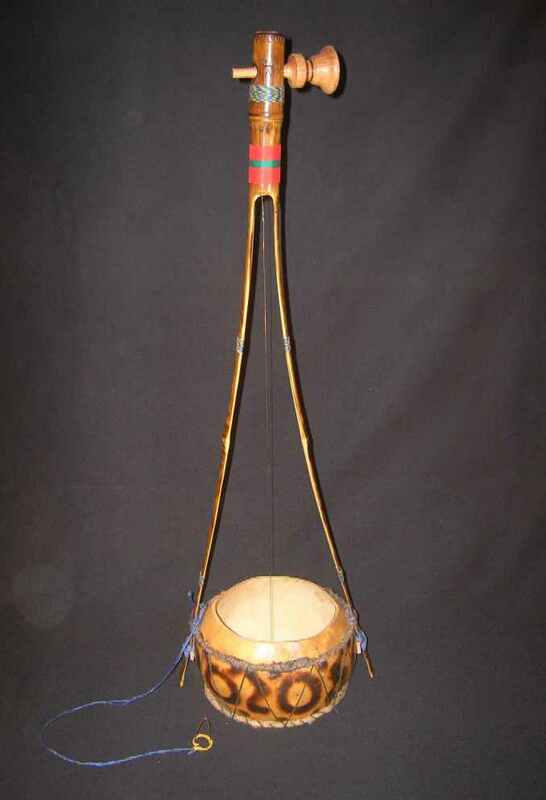 It consists of a section of bamboo that opens and is attached to a resonator that can be coconut, squash or a metal container where the base has a leather, like a drum, from the middle of this patch comes a metal cord that is Tensed at the other end, on the top of the bamboo, by a wooden peg, which can give a tuning to the instrument (traditionally the tune of the tonic with which it is going to be sung). There are different sizes and shapes, we build it 80 centimeters high by 30 centimeters in diameter. The sound of Gopichand is very distinctive. There is a peculiar bending of the bamboo between its two arms where they are tightened together by the left hand while the right hand touches the rope. This is a rhythmic instrument and also a melodic instrument and is used to accompany instruments such as kartal, Dotar, or khol. 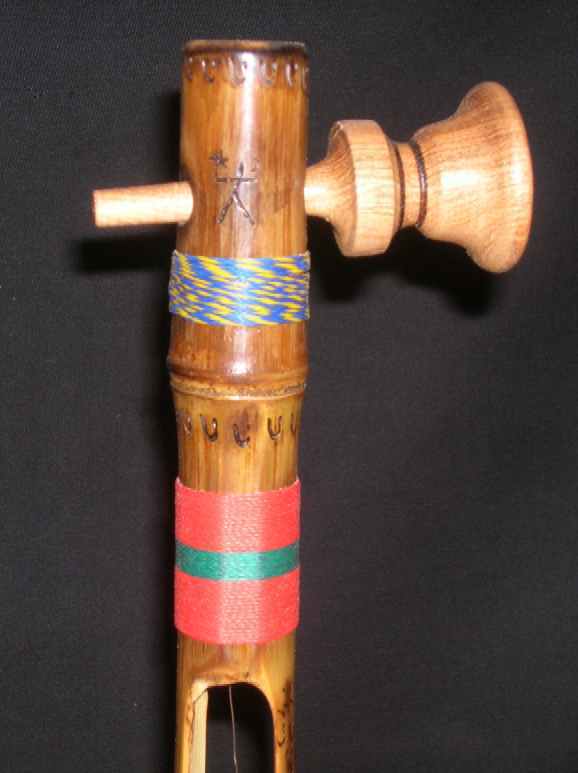 It is also used to sing traditional songs and in other regions to sing mantras. con su funda, you can write us in the section CONTACT para informarse del mismo o adquirirla, Thank you.